Did you ever have sensitive teeth on cold and hot temperature? When you eat ice cream or drink hot coffee, your teeth can send you a painful signal. This pain happens because some part of your teeth is without enamel or there is a small hole that leads to the nerves of the teeth. 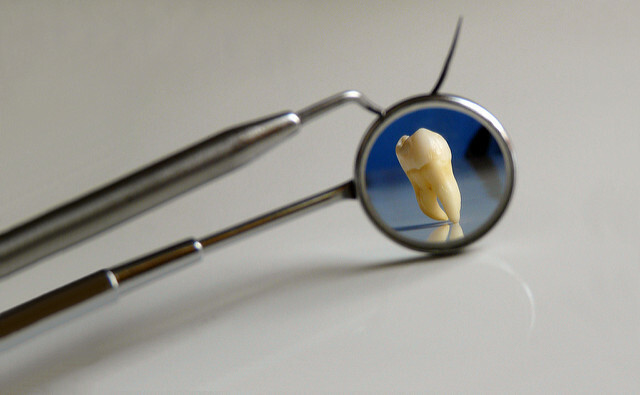 When nerves get hot or cold liquid or air, you will feel pain in that tooth. First of all, you should use non-abrasive toothpaste, as well your toothbrush need to be gentle. Try to switch your toothbrush with some mild soft toothbrush. Avoid acid drinks or foods. Never drink a beverage with sugar. It is proven that sugary drinks will make your teeth decay faster. In your mouth are nasty bacteria that feed on sugar. If you consume lots of sugar, especially industrial sugar, then this bacteria will grow and produce acid in your mouth which will hurt your teeth enamel and make your teeth sensitive to cold and hot. But you can also be sensitive to sugar. And the reason for that is again, acids. If you have read some of the reviews on naturaltoothpastebrands.com website, then you know that there are many bad kinds of toothpaste. Some of them have acids as ingredients, and many of the conventional types of toothpaste have even worse ingredients. Citric acid is somehow common in many types of toothpaste. But this citric acid can lead to enamel decay and then you will have sensitive teeth. You should make sure that your toothpaste is pH neutral or maybe even a little alkaline. At least ensure that you clean your teeth with water after brushing, so all acids go out and bring your mouth to pH neutral state. Make sure you don’t brush your teeth too hard. If you brush your teeth too hard, you may hurt your enamel which protects your teeth. Receding Gums may cause sensitivity. Gums may naturally recede and then roots of the tooth may be exposed to air and liquid, and this may lead to sensitivity. Tooth filling or damaged tooth. A Broken tooth is sensitive to cold and all other things. Sensitivity, in this case, won’t go away, and you will need to visit a dentist to fill the hole. Mouthwashing can lead to sensitive teeth as well. Some mouthwashes contain chemicals, and some of them contain even alcohol. If you are using mouthwashes and have sensitive teeth, try to stop using it for a few weeks and see results. You don’t need to look at label “sensitive.” All you need to do is check if toothpaste contains any chemicals that are acid or may hurt your enamel. Avoid at all cost toothpaste with Sodium Lauryl Sulfate because that is foaming detergent that will for sure have some impact on your mouth and teeth. The main ingredient is coconut oil which is mild in your mouth. Coconut oil is proven to kill harmful bacteria and in that way will reduce acid in your mouth. Another important ingredient in this toothpaste is baking soda which also decreases acid in your mouth. With this two ingredients and zero harmful ingredients, this toothpaste is number one for sensitive teeth. check this PDF File to see which common toothpaste have high abrasion. No questionable ingredients and with zero harmful chemicals Uncle Harry toothpaste may be a good solution for sensitive teeth. Urtekram Toothpaste is on my list to test it personally. I will soon start to use this toothpaste and show you results. The reason why I choose this over all the others is that this toothpaste has some great ingredients that you can’t find in other regular or even natural toothpaste. It contains many expensive and luxurious essential oils which may help your teeth. As well this toothpaste should not increase acid level in your mouth, and there are no harsh ingredients or other harmful chemicals. The sensitive teeth are a major problem in modern time. People drink and eat bad stuff which increases acid in your mouth. Acid can hurt enamel and product are sensitive teeth. But many other reasons can make your teeth sensitive. So I suggest you take a test, follow this guide and try to change your diet, toothpaste, how you brush your teeth and see if sensitivity will go away. If in 2 weeks your teeth are still sensitive, then you should visit your dentist. You probably have cracked tooth or some other problem that need to be fixed by a dentist.